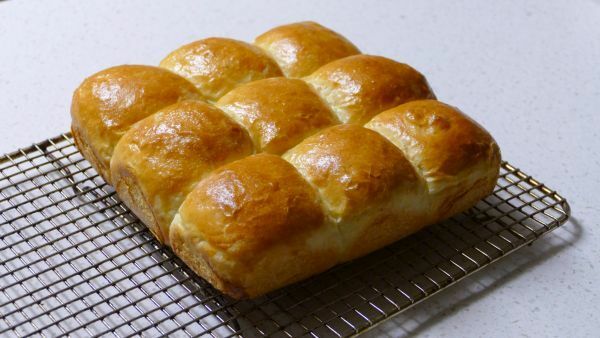 These rolls are soft and scrumptious. 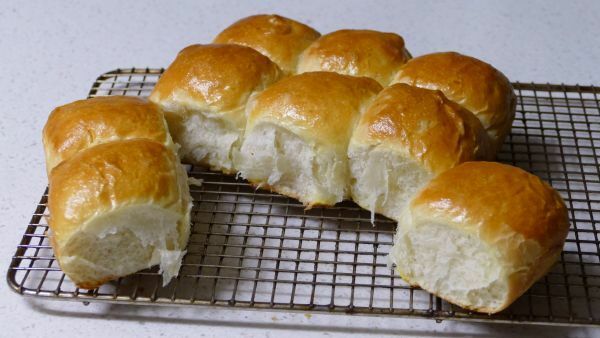 They are also hybrid rolls using both sourdough starter and commercial yeast. They can be started in the morning and ready for dinner that same day. Makes 24 rolls at 61/62 grams each (easier for the mixer to work this amount of dough) (or divide dough amounts in half for 12 rolls). 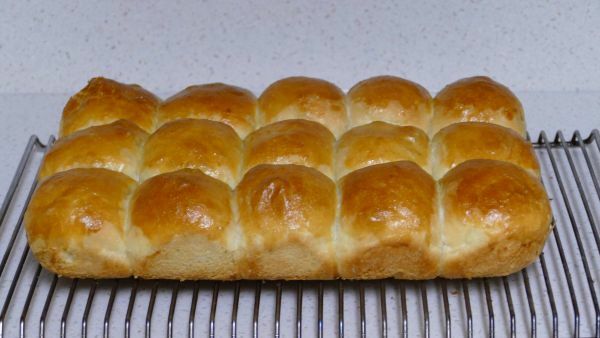 Or you can make 12 dinner rolls and one loaf of soft bread. This content is restricted to paid members. Online Baking Courses – Buy one – Get one FREE!